The inspiration came from an introduction to Sensory Solutions back in the depths of last winter. Fiona Heckels (BSc. Herbal medicine) visited us to understand more about watercress and wasabi and kindly gave us a herb guide to explain which herbs are best used for specific outcomes. As a result the planters have been divided into 6 zones; Immune Boost, Coughs & Colds, Anti-inflammatory, Chill Time, Women's Health and Tummy Time. Each zone contains 3 key herbs to pick and brew into a soothing tea by infusing in the wonderful natural spring water we abstract on this farm. Alternate uses are for cooking or simply to enjoy the fragrance whilst taking a break. 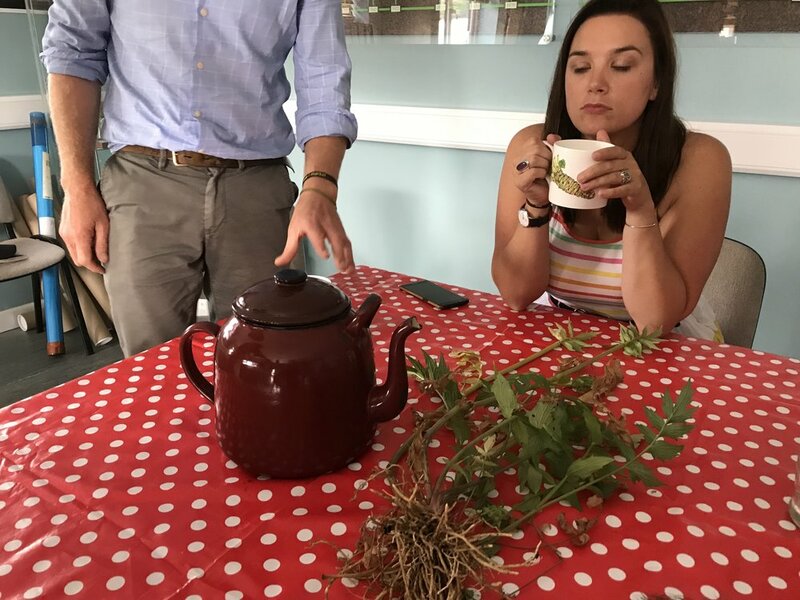 The idea of using herbs to treat our basic ailments is well known and to learn more we also attended a "Herbs for First Aid" course in Dorchester run by Fiona. 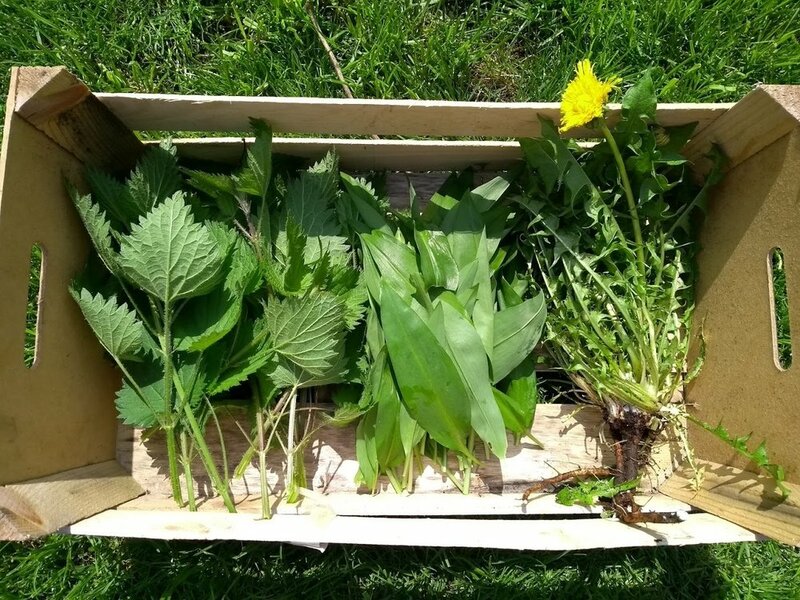 We learnt how herbs can be used to treat more serious issues and how wild herbs or plants such as nettle, garlic and dandelion can be fantastic additions to our diets. As soon as the planters arrived we were visited by our herb guru Fiona who gave us an inspiring presentation on the wonders of herbal remedies and healing using commonly available British plants. Through the crops we grow and our research into the benefits of eating watercress, we share similar ideals with Fiona with regards to promoting health via the food we eat. The connection seemed fairly obvious and feedback from both staff and visitors has been great! Mustn't forget to keep them well watered during the current dry weather....this is done every morning by Pat and he loves this as his start to the working day! Wellness through daily use of herbs...Is James really listening to the information on "Women's health" section? Inflammation? Sorted with this zone!